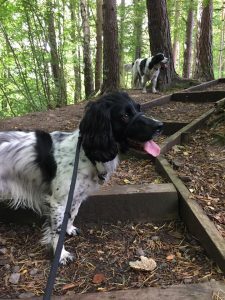 Waggy Tails Perth is a friendly, reliable and most important of all trustworthy local dog walking care service covering Abernethy, Aberargie, Glenfoot, Bridge of Earn, Perth. Our primary service is daily, weekly and ad-hoc walks with your dog. We generally walk in groups, which is great for socialising doggy’s and encourages good behaviour. Waggy Tails Perth also provides solo walks on request for those doggy’s that simply prefer their own company. This affords close control and safety for your best friend. 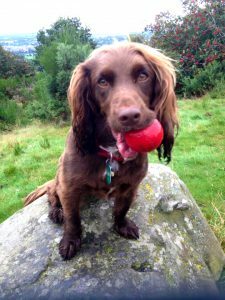 We also offer doggy day care when you simply want your dog to be out and about for the day thereby giving your best friend the best of all worlds, companionship, attention and lots of exercise. In an ever changing world we can also be on hand for those unplanned emergencies and short notice requirements that we all experience from time to time. We use a dog walking app called ‘DoTimely’, its really easy to install on your mobile or PC…. You will get emails when the appointment starts and ends. Be able to view the detailed appointment report with time, duration and comments from your mobile or PC. Get to view past walk reports, manage future appointments and view invoice and payment details, get notifications when your booking requests have been accepted or modified so you are always in the loop. Pictures are awesome! We know that you can’t get enough of your doggy. So you will get to see pictures of your doggy’s fun & adventures and rest assured that your doggy is getting the best care. 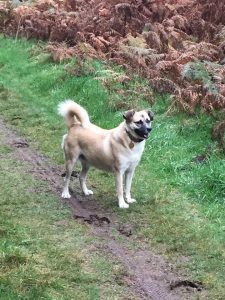 We operate WaggyTails Perth as a trading name of Girl Friday Scotland Ltd SC542927, a limited company registered here in Scotland so we are completely visible through Companies House with our registered office here in Abernethy, Perthshire. Your trust in us, is important to us. We have full Disclosure Scotland No 200000008256983 as you will be trusting us with both your pet’s and home security when we pick up and drop off your pets and you need the assurance that your privacy and security are in safe hands. You want to be sure that both your pet and your home are in safe hands. We insure that your keys are insured for loss or theft and that if you should loose yours, yes it does happen. We can act as a free key safe service for you. All keys are secured in a digital safe and are not issued to any third party at any time. We are Fully Insured through Pet Plan Sanctuary, so that you can be secure in the knowledge that we are professional about the safety of your pets whilst in our charge. We take our responsibility for your doggy seriously and we are the only local company fully certified with Fully Certified Canine First Aid Trained AoFAQ QFQUAL 2/6/2017 that means that should your doggy ever need help whilst with us we are well placed to take that all important First Aid. We operate a fully insured unlivered zero emissions Van for the comfort and safety of the doggy’s. We do not livery or advertise on our van as we take your security seriously to ensure the upmost discretion during our pick up and drop of service at your home, as well as safety whilst parked up in the rural parts of Perthshire whilst on daily doggy adventures. 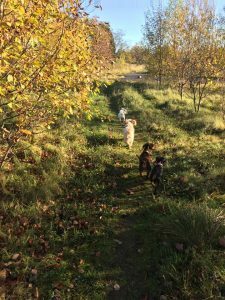 Indie enjoying a lovely Autumn walk with Waggy Tails at Pitmedden Forestry. Froy & Monty out for a walk at Quarrymill, Perth. Group walk at Oudenarde with Benji, Reggie, Zuzu and Tammy.